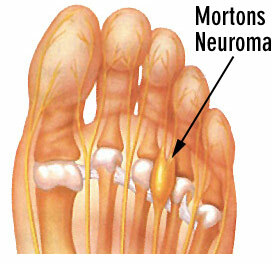 MORTON'S NEUROMA | West Georgia Podiatry Associates, P.C. If conservative treatments do not provide relief, your podiatrist may inject your foot. Corticosteroid medication is used to reduce pain and inflammation.